Reading novels written by Indigenous authors with your students allows you to introduce diverse voices into your English classes while still having the opportunity to meet curricular outcomes. Studying these novels with your class will still allow you to discuss literary devices, character and plot development, and theme as you normally do. What is special about these novels is that you will also have the added benefit of incorporating authentic Indigenous voices and perspectives into your classroom. As teachers, we often default to asking our students to take on the role of teacher and explain aspects of their culture to the rest of the class, but this can become tiresome for those individual students. Another option we have is to bring in guest speakers to tell us about their experiences as a member of a different culture. Finding guest speakers, especially Elders, and asking them to share their experiences is always the best option, however, they are not always available during your class times. Novels written by Indigenous authors will allow your students to begin to explore the first-hand authentic experiences of a variety of Indigenous peoples. While reading these novels, Indigenous students will see themselves reflected in the literature you are using in class. They will also be able to hear Indigenous voices conveyed through your course material. These students will benefit from seeing an accurate depiction of themselves in the media being viewed in your class. Non-Indigenous students will also have the opportunity to hear voices from a culture other than their own coming through your course material. This can help students become more empathetic and respectful of other cultures. All too often, Indigenous people are shown in a negative light in mainstream literature. We have the Western genre and other period literature which frequently paints a wide variety of Indigenous peoples as either the stereotypical ‘Plains-Indian Noble Savage’ or as a terrifying threat to the people who have settled the land. These one-dimensional, and incorrect depictions of Indigenous people are the result of mainstream authors casting their own worldview and misconceptions onto their Indigenous characters, which creates and propagates stereotypes. Incorporating literature written by Indigenous authors will go a long way towards breaking down these portrayals of Indigenous people and allowing your students to see themselves reflected as multi-dimensional people with needs, wants, desires, and challenges. 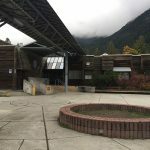 Your non-Indigenous students will also benefit from seeing an authentic portrayal of Indigenous peoples and cultures as opposed to the manufactured view generally reflected in mainstream media. Seeing fully developed Indigenous characters that don’t fit neatly into stereotypes they have previously heard, may help your students empathize with their Indigenous classmates and understand that some of their own preconceptions are misguided or incorrect. 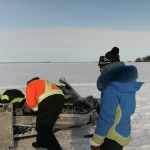 They may also begin to develop a better understanding of the challenges that many Indigenous peoples face. In order to achieve the outcome of having your students begin to understand and become more empathetic towards different cultures, it will be important for you to ensure that students are thinking about the perspective or point of view of the author or main character while they read. Your students may need to be guided so that they understand where the characters are coming from, and how their culture, language, and history shapes both how they see the world and how they interact with the people and things in their lives. It is simply not enough to ask students questions such as ‘how is this character different to or the same as you?’ Making comparisons is a good place to start, but what will really allow your students to understand the point of view of the characters is to learn about the history and culture of the people being portrayed. As a teacher, you can do some research to start off, and you can have your students pull out information from the novel you are studying to illustrate how the character’s worldview or history is affecting how they see certain situations or react to different events. Encourage your students to not put themselves in the characters’ shoes, if they are not of that culture. Ask them instead to imagine how the character would be feeling. Each of the three novels talked about here have lessons on Learning Bird which you can use in your classes to support your study. 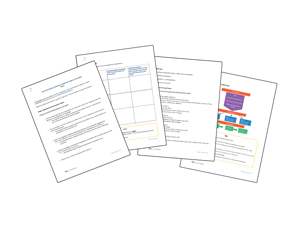 These lessons cover different elements of the novels and can be used together with other lessons in the playlist, or individually to focus on one skill or piece of information. 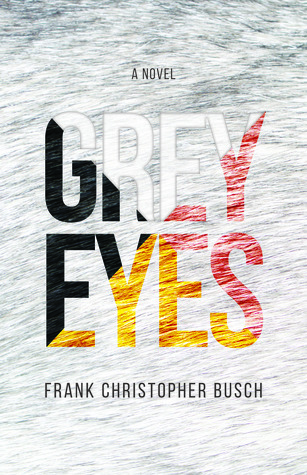 Grey Eyes is a novel about a young boy named Little Grey Bear Boy, who is destined to be the protector of his Nehiyawak community. The novel follows him from birth to adulthood, and explores him coming to terms with his destiny, his powers, and his responsibility. This novel explores traditional Nehiyawak (Cree) practices and ways of being and understanding the world even though there is a fantastical element to it. This can be an interesting way to walk your students through learning about this Indigenous culture through the lens of a young Cree man, instead of piecing together a faulty impression from unreliable sources. One example of a Learning Bird lesson which supports this novel is Persuasive Essay: Exploring Indigenous Topics in Grey Eyes. 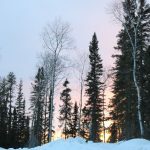 This lesson asks students to write a persuasive essay that explores topics linked to traditional Nehiyawak ways of living in Grey Eyes. 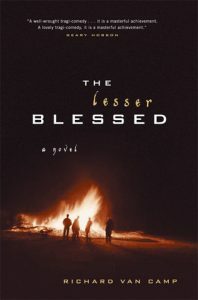 The Lesser Blessed is a coming of age story about Larry, a member of the Dogrib Nation. The story follows Larry on a journey of acceptance and healing as he comes to grips with events from his past and the challenges he faces in the present. This novel conveys one example of how someone can overcome the challenges they face, while providing keen insight into the challenges themselves. Larry faces discrimination, poverty, the results of addiction, and a haunting past trauma. This novel can help you open up a discussion about these topics, but even more so can open up a space for your students to discuss the strategies they use to persevere in their own lives. The Learning Bird lesson History and Intergenerational Trauma explores the historical context of The Lesser Blessed. This lesson will help students understand some of the events which shape Larry’s worldview and experiences. 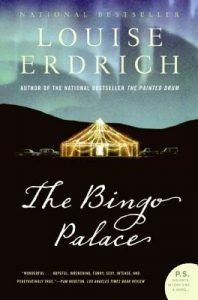 The Bingo Palace is a novel about a young man named Lipsha, who returns to his family’s reservation. While there he learns to take responsibility for his choices and actions. This novel focuses a lot on the ideas of luck and chance. The novel follows many characters and often references their ‘luck’. These themes of luck and chance are reinforced by the casino, which is an important institution in the community. This novel is a great way to discuss the concepts of choice, responsibility, and autonomy with your students. Many of your students may be starting to take on more responsibility in their own lives, and this novel can help them work through how to do that as an adult. 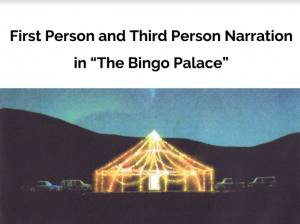 The lesson First Person and Third Person Narration in The Bingo Palace explores these two points of view and gives students space to practice transforming First Person narration into Third person narration. This may help your students understand the effect that different narrative styles can have on a piece of writing. The lessons that were included here are just one example for each novel. You can easily find these lessons, and others to support your study of these novels by searching for the title of the novel in the keyword search bar. 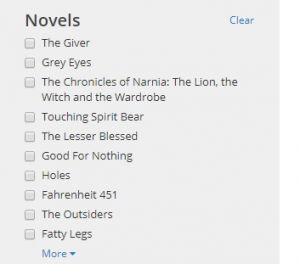 Soon, we’ll be making finding resources to support novels even easier on the Learning Bird platform, with the introduction of a new filter which will list the names of all the novels and plays for which we have supporting resources. What is your favourite novel written by an Indigenous author? How would you study it with your students? Email us to let us know which novels you’ve successfully used with your students.